I’m such a fan of bark as a treat… I first fell in love with the Williams-Sonoma Peppermint Bark (affiliate link), which is undoubtedly a taste of heaven, right? When I branched out into my own bark recipes, including a Skittles Sugar Cookie Bark. And now it’s time to take the fun to a whole new level… have you ever tried bark with red hots and pretzels?!? I didn’t think so! Step 1: Line a 8×10 baking sheet with parchment paper. Step 2: Melt chocolate according to directions. Step 3: Line bottom of sheet with pretzel sticks pour over melted chocolate. Step 4: Press candies on top. Step 5: Let sit for 20-30 minutes or until chocolate sets. Step 6: Break into pieces and enjoy! Line a 8x10 baking sheet with parchment paper. Line bottom of sheet with pretzel sticks pour over melted chocolate. Let sit for 20-30 minutes or until chocolate sets. Find more Recipe Inspiration on Mommy Evolution! 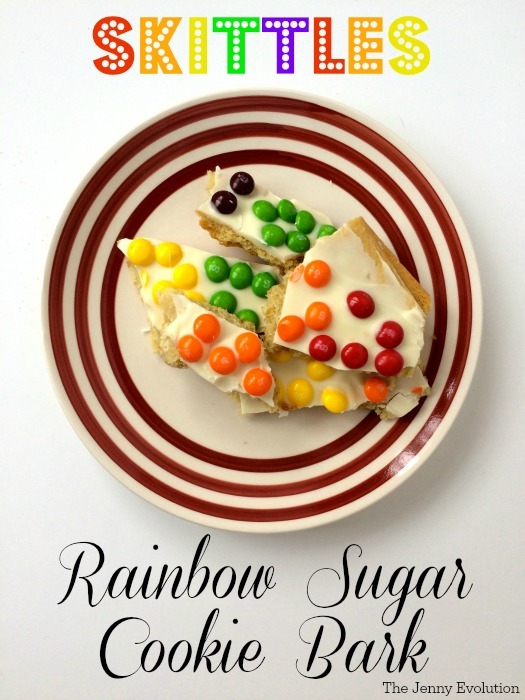 Did you miss my Skittles Sugar Cookie Bark? Okay, this looks easy and amazing! Thank you! Oh cool! 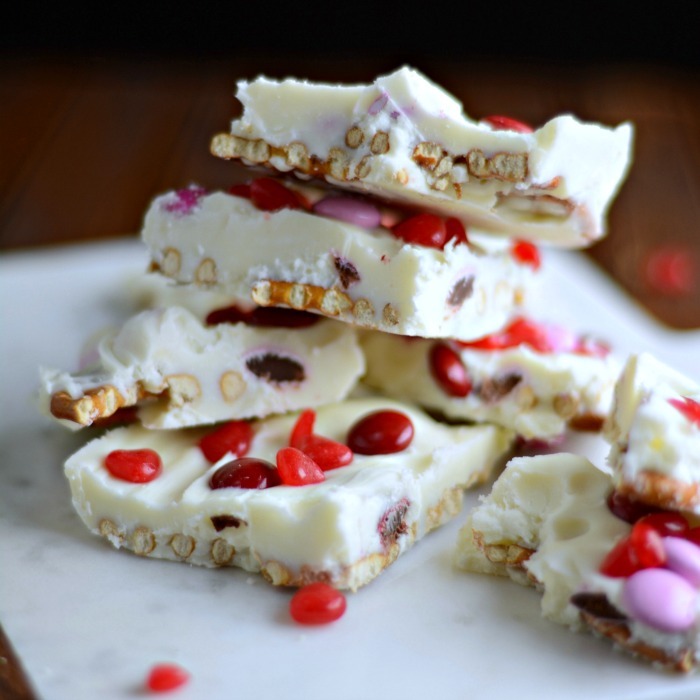 I have seen lots of different candy bark recipes but none that included red hots. Thanks for sharing your recipe. You bet! The red hots mixed with the salty crunch of the pretzels really makes this bark recipe delish! Happy eating! These have like all my favorite flavors: sweet and saltiness + a good little cinnamon-y kick. They look so good! Perfect idea! That would cut through that sugary sweetness! Genius! Those look yummy! I haven’t had red hot heart candies since I was a kid and I absolutely LOVED them. Pinned. This looks delicious, and we might just have to give it a try 😉 Thanks for sharing. Thank you for sharing on #omhgff this week. 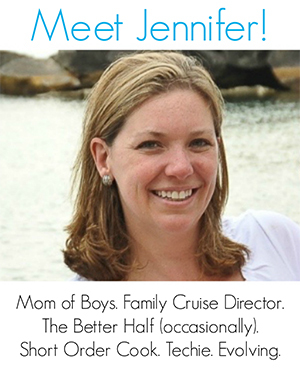 Hope to have you drop by next week! Your bark looks delicious and I love the flavors and textures. Thank you for bringing your inviting and festive treat to Fiesta Friday! Nice bark – Happy Valentines in advance. 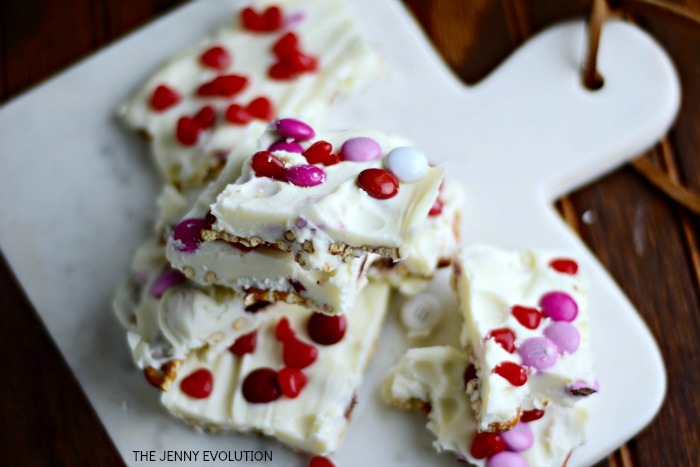 We will love your Valentine Bark, it looks wonderful! Hope you are having a great week and thanks so much for sharing your awesome recipe with us at Full Plate Thursday!